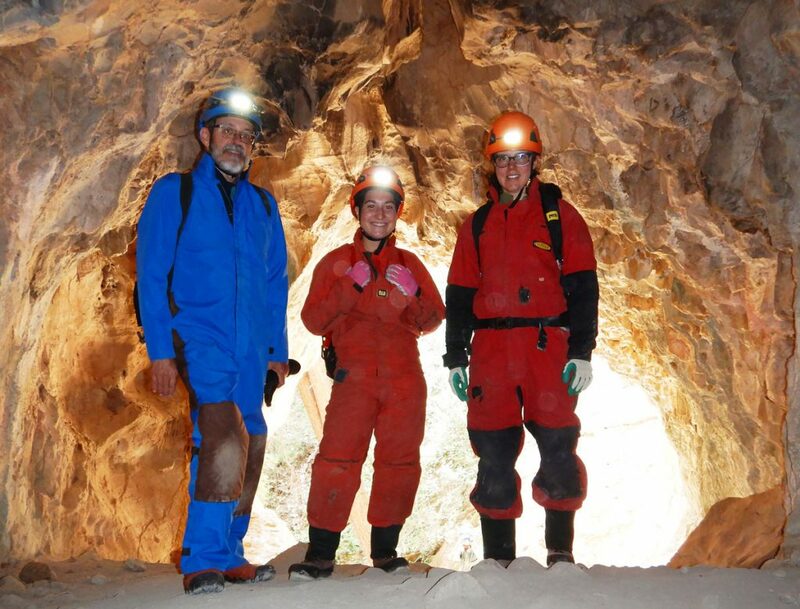 Studies of cave & groundwater fauna of the Southwest and Rocky Mountain regions. This project is just getting underway, feel free to contact me if you are interested. Heading into a cave in the Colorado rockies with Colorado College students Jenna McDonald (left) and Carly Bonwell. We’re searching for rare, endemic groundwater amphipods. 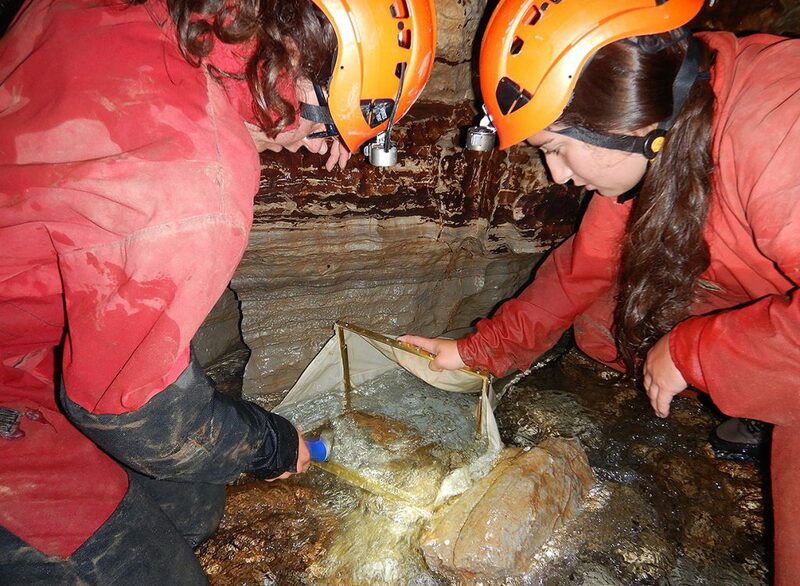 Colorado College students Carly Bonwell (left) and Jenna McDonald deploy a Surber sampler in a stream deep within a Colorado cave, in search of cave-adapted groundwater amphipods. Water temperature is about 3 C (37 F). 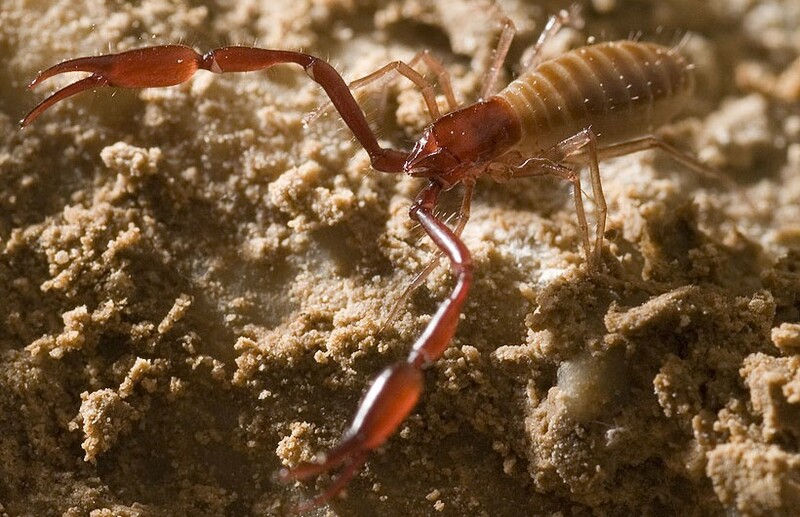 A pseudoscorpion, Microcreagris grandis, in a western North American cave. 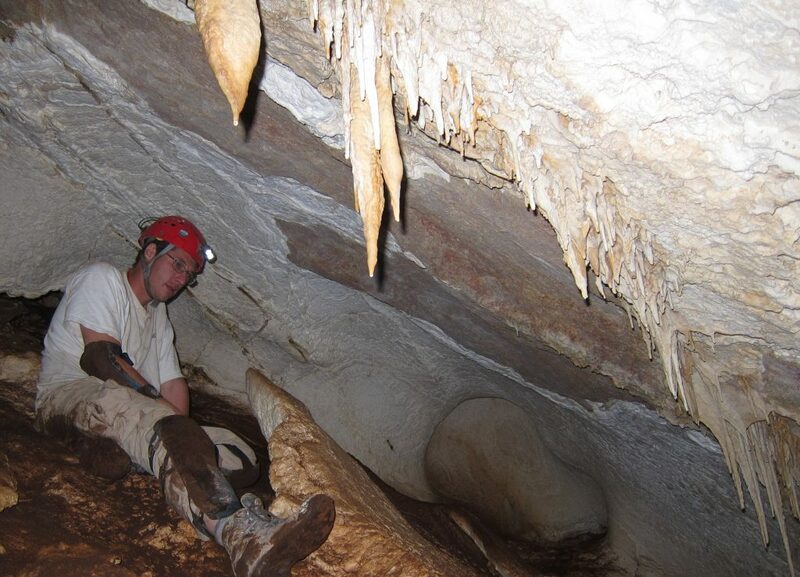 Conducting cave bioinventories is fun but slow work!